Better handling of fragmented IPv4 packets. Verification of ".pcap" file extension is completely removed. Files with any extension can now be loaded, provided they are valid libpcap files. 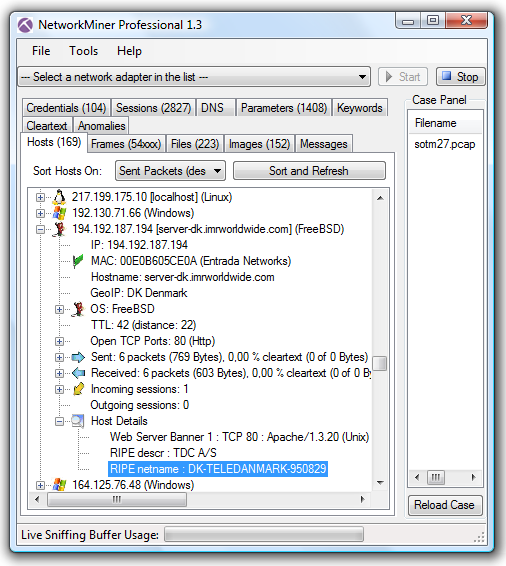 DHCP options are extracted and presented on the parameters tab. Parser for the IEC 60870-5-104 protocol. This feature will be covered in more detail in a separate blog post soon. 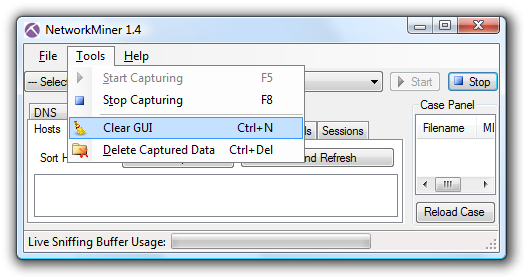 A long awaited "Clear GUI" menu entry has been added to the "Tools" menu. 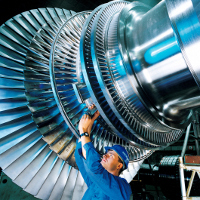 This feature will be welcomed by users who previously restarted NetworkMiner in order to clear the GUI. The Credentials tab has now gotten a check box that allows the user to show/hide captured HTTP cookies. This provides for a much cleaner view of captured usernames and passwords. The professional version of NetworkMiner additionally includes a functionality that allows the user to specify customized port-to-protocol mappings. 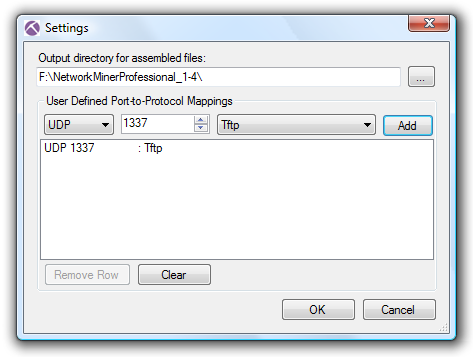 This feature will typically not provide much value for protocols using TCP, since the protocol identification feature in NetworkMiner Professional will identify the application layer protocol automatically. NetworkMiner does, however, not automatically recognize protocols running on top of UDP; this is where the manual port-to-protocol feature can come in handy. 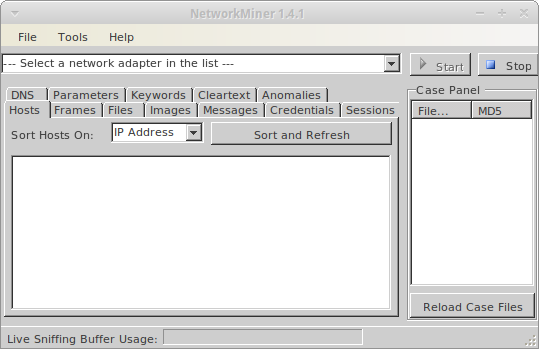 The most recent release of the free (open source) version of NetworkMiner can be downloaded from SourceForge. 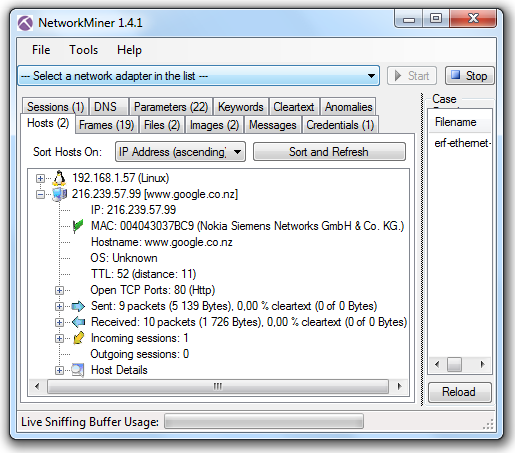 Paying customers can download an update for NetworkMiner Professional from our customer portal. Metasploit was recently updated with a module to generate a wpad.dat file for WPAD man-in-the-middle (MITM) attacks. This blog post explains how this attack works and how to investigate such an attack by analyzing captured network traffic. Windows' WPAD feature has for many years provided attackers and penetration testers a simple way to perform MITM attacks on web traffic. There is, for example, a great blog post by Tod Beardsley called "MS09-008: Web Proxy Auto-Discovery (WPAD), Illustrated" that highlights the problems with WPAD. Now finally, roughly 10 years after WPAD was introduced, the penetration testing framework Metasploit includes support for WPAD via a new auxiliary module located at "auxiliary/server/wpad". This module, which is written by Efrain Torres, can be used to perform for man-in-the-middle (MITM) attacks by exploiting the features of WPAD. 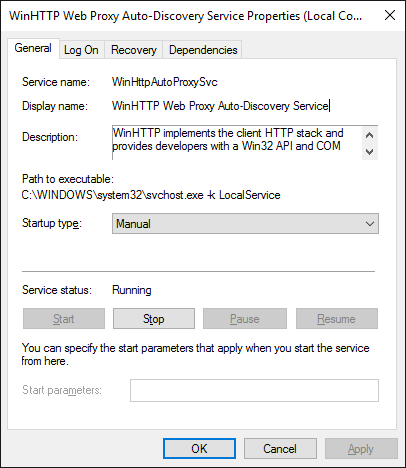 WPAD is short for "Web Proxy Autodiscovery Protocol", and is a method for Windows machines to detect which machine to use as proxy for HTTP(S) traffic. Did I receive a WPAD entry in my DHCP lease? If yes, then jump to #4. Ask the DNS server who is called "wpad" (or wpad.[mydomain.com]). Jump to #4 if a the lookup was successful. Broadcast a NetBIOS Name Service message and ask for "WPAD". Continue to #4 if anyone on the network claims to be called "WPAD", otherwise don't use any web proxy. 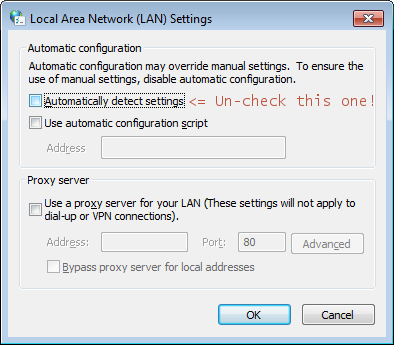 Use IP address defined in wpad.dat as the web proxy for all HTTP and HTTPS web traffic. This process is clearly vulnerable to DHCP spoofing (step #1) and DNS poisoning (step #2). But an even easier solution is to set up a computer with hostname "WPAD" where a file called "wpad.dat" is served via HTTP on port 80, which apparently is what Metasploit's egyp7 has done on his travel laptop. I've set up a lab network to look closer at a WPAD MITM attack from a network security monitoring (NSM) perspective. The attacker and the victim are in this scenario connected to the same LAN, which is a typical situation when connecting to networks at airports, conferences or hotels. All traffic from the local network is also captured by a sniffer via a monitor/SPAN port. The attacker machine is running Backtrack Linux, which contains Metasploit as well as Burp Suite. Spoof NetBIOS Name Service (NBNS) responses for "WPAD"
Clients on the local network with Web Proxy Autodiscovery configured will now try to use the attacker's machine as proxy for HTTP and HTTPS traffic. 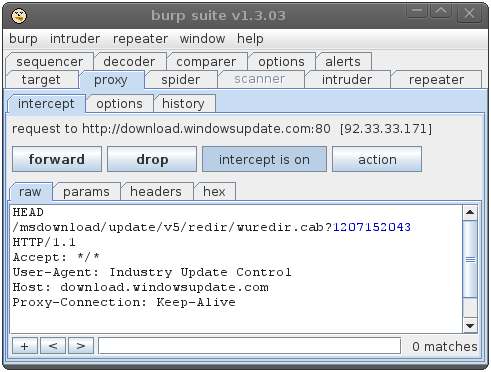 The attacker will therefore run Burp to proxy all outgoing web traffic via TCP port 8080. The attacker can at this point monitor all web traffic to/from the victim machine. He also has full control over the traffic and can modify the outgoing requests as well as responses. Using WPAD to perform such a MITM attack on Windows Update is actually exactly what the Flame malware did. 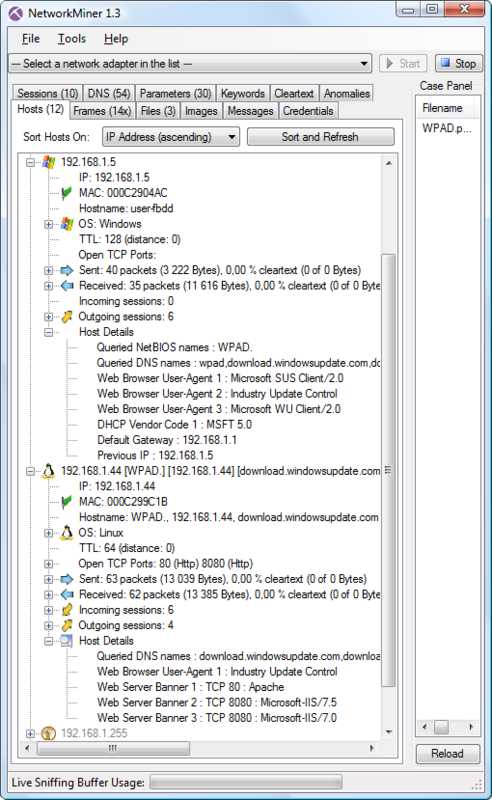 Being able to access archived full content network traffic when analyzing an incident is a gold mine if you are doing network forensics (see our sniffing tutorial part 1 and part 2 for more details on how to set up your sniffer). I will in this scenario look at the network traffic captured by the sniffer via a SPAN port. 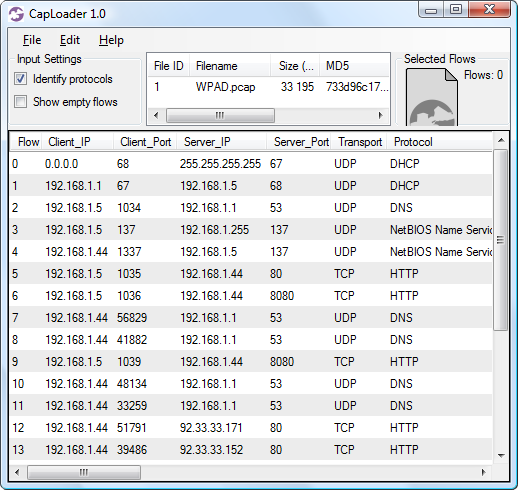 A good first step in the analysis is to look at the TCP and UDP flows from the captured traffic, preferably by loading the captured "WPAD.pcap" into CapLoader. Flow #2 – The victim (192.168.1.5) queries the local DNS server for "wpad"
Flow #3 – The victim sends out a broadcast NBNS message on the local network, asking for "WPAD"
Flow #4 – The attacker (192.168.1.44) responds to the broadcast message, saying that he is "WPAD". Note that the spoofed NBNS response is sent from UDP port 1337, which is a typical indicator of Metasploit's "nbns_response.rb" being used. The "Host Details" section of the victim (192.168.1.5) show that he has queried for the NetBIOS name "WPAD" and DNS name "wpad". The attackers machine (192.168.1.44) seems to have multiple hostnames, where one is WPAD. The other hostnames stem from the fact that the attacker's web proxy claims to be "download.windowsupdate.com" or any other web server the victim tries to access. We can also see in the "Host Details" secion that the web proxy on TCP 8080 has multiple web server banners. 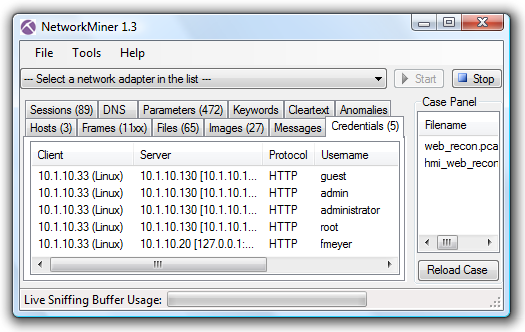 Hosts that show up in NetworkMiner as having many hostnames and server banners are typically web proxies. "bootp.option.type eq 252 or dns.qry.name eq wpad or nbns contains 46:48:46:41:45:42:45:45"
tshark -r WPAD.pcap -R "bootp.option.type eq 252 or dns.qry.name eq wpad or nbns contains 46:48:46:41:45:42:45:45"
A simple way to avoid falling victim to a WPAD attack is to disable Web Proxy Auto Discovery in Windows by disabling the "Automatically detect settings" checkbox in the "LAN settings" window. 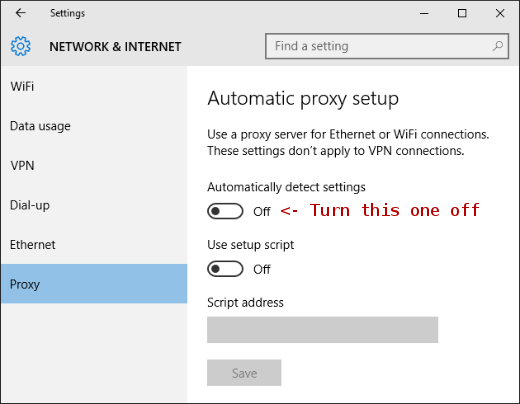 In Windows 10 this feature is located in the Proxy settings window. mrhinkydink pointed out on Reddit that you will also need to to disable WinHttpAutoProxySvc, which runs as Local Service. There was recently a question on the Wireshark users mailing list about “how to get the query name from a dns request packet with tshark”. This is a problem that many network analysts run into, so I decided to write a blog post instead of just replying to the mailing list. 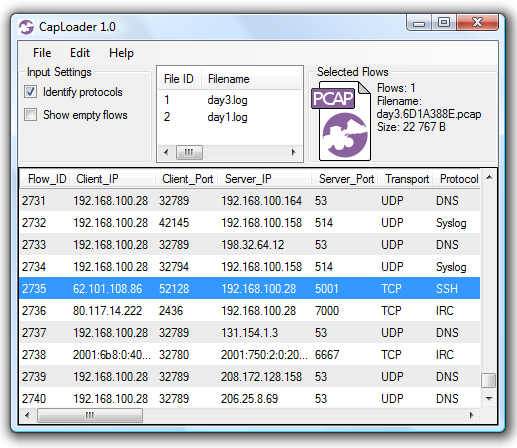 Note: the pcap file used in this blog post is from the DFRWS 2009 Challenge. Who queried for a particular domain? tshark -r nssal-capture-1.pcap -T fields -e ip.src -e dns.qry.name -R "dns.flags.response eq 0 and dns.qry.name contains google.com"
tshark -r nssal-capture-1.pcap -T fields -e ip.src -e dns.qry.name -R "dns.flags.response eq 0"
NetworkMiner Professional also has the ability to export this data to a CSV file. The command line tool NetworkMinerCLI can also generate such a CSV file without a GUI, which is perfect if you wanna integrate it in a customized script. Below is a short video tutorial showing some of the cool features in CapLoader 1.0. 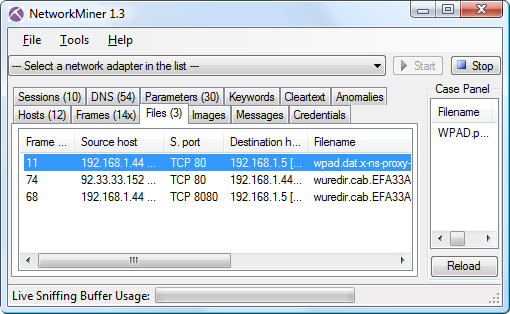 The three pcap files loaded in the video tutorial are from the DFRWS 2009 Challenge. 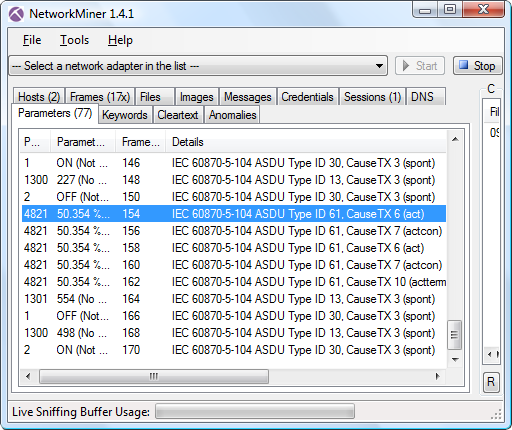 NetworkMiner 1.3 was released earlier today, and there was much rejoicing! Extraction of user names from HTTP Digest Authentication (RFC 2617), such as those found in US Cyber Challenge “Cyber Quest February 2012”. HTTP headers are shown on the Parameters tab (including common headers like “Host” and “User-Agent” as well as rare ones). HTTP X headers are shown for hosts under the “Host Details” > “Extra Details” node. These X headers include “x-up-calling-line-id” and “HTTP_X_UP_CALLING_LINE_ID”, which can be used to identify the phone number of the mobile device used to access a web page. 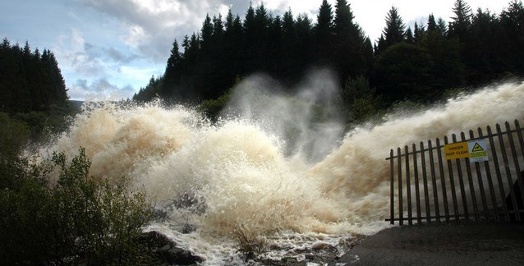 This type of information leakage can be detected with Collin Mulliner's MNO Privacy Checker. Support for the Null / Loopback link layer packets that are written when sniffing localhost on BSD operating systems. Ability to select a custom cleartext dictionary file for the "Cleartext" tab. This feature can be used in order to look for text in a specific language. Files with “.raw” extension are now treated as pcap files since this is the extension used by Sguil (hat tip to Doug Burks for this idea). The alert window about WinPcap not being installed has been removed. Several bugs have also been corrected, thanks to TCB13 and Aivar Liimets for notifying us about two of them. The professional edition of NetworkMiner additionally includes a new feature for performing offline whois lookups of IP addresses against the RIPE database. This offline whois lookup can be used to find out which organization that owns the IP network for a particular IP address. The whois information can be found in the “Host Details” node in the “Hosts” tab. There is at this point only support for whois lookups of European IP addresses. 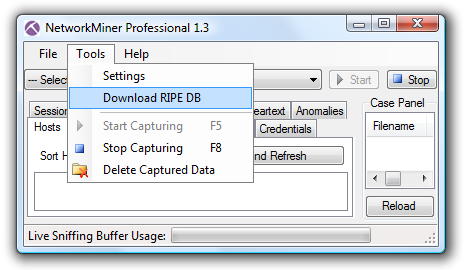 NetworkMiner Professional is also not shipped with the RIPE database installed. Downloading the RIPE database to NetworkMiner Professional is very easy though, simply click “Tools” > “Download RIPE DB”. Customers who have purchased a previous version of NetworkMiner Professional can download an update for free from our customer portal. If you are unable to log in, then please send an email to info [at] netresec.com with your current version number as well as license number (which you can find under the menu “Help” > “About Network Miner”).